San Francisco, California – September 27, 2018. Oral Surgery San Francisco, a leading practice under oral surgeon, Alex Rabinovich, is proud to announce a blog post for choosing an emergency oral surgeon in the event of a crisis or other oral event. If a car accident, injury or health issue has suddenly created a dental crisis, it can be important to locate a top emergency oral surgeon in San Francisco. City residents may also seek out an oral surgeon for a second opinion or cost issue. Locals in and around the San Francisco environs can review the new blog post at: https://www.oralsurgery-sf.com/2018/06/we-are-often-asked-who-is-the-best-oral-surgeon-in-san-francisco. Those who want to learn more about San Francisco oral surgeon Alex Rabinovich can visit https://www.oralsurgery-sf.com/meet-dr-rabinovich/ and reach out to him for a consultation. Here is the background for this release. The reality is that a San Francisco Bay Area resident may not consider the importance of finding an emergency oral surgeon until an accident occurs. Broken teeth or a cracked jaw could greatly affect the health of an individual; impacted wisdom teeth can suddenly get infected and become painful. In addition, if cost or a second opinion become important, it can be valuable to identify a skilled professional ready to assist in a dental crisis before an accident occurs. For these reasons, Oral Surgery San Francisco has announced a new blog post on how to find an emergency oral surgeon. An oral surgeon who is available on an emergency or short term basis may be needed to help fix a broken jaw immediately; infected wisdom teeth, in contrast, may be able to be postponed for a few days. No two situations are exactly alike and anyone who might be in need of an emergency oral surgeon in San Francisco is urged to not only read the post but also reach out to Dr. Rabinovich for a consultation. Oral Surgery San Francisco (https://www.oralsurgery-sf.com/) is located in the Financial District of the City. Under the direction of Dr. Alex Rabinovich, a Board Certified Oral and Maxillofacial Surgeon specializing in the field of oral surgery. This additional training, along with his years of experience, sets Alex Rabinovich MD DDS apart from the growing number of general dentists offering oral surgery and other dental procedures. Procedures include wisdom teeth extraction, Orthognatic or jaw surgery, sleep apnea mouth appliances and dental implants. 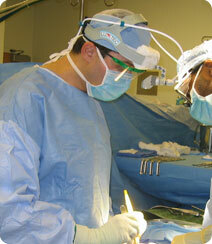 Dr. Rabinovich can be available as an emergency oral surgeon in San Francisco also. Oral Surgery San Francisco serves all neighborhoods in the city of San Francisco including Pacific Heights, Russian Hill and Noe Valley.